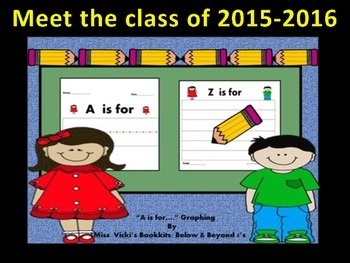 Meet the Class of 2015-2016 offers opportunities to explore, track, document and compare the similarities and differences found within the classroom. 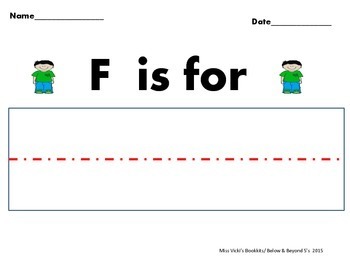 Graphs use pictures, written markers, yes or no options and tally marks to collect information. “I wear mittens” graph. Class graph select yes or no. *includes rabbits, birds, cats, dogs, fish, snake plus headers, class graphs and 24 cutouts of each animal. Plus- “Today my socks are…” class graph “X” marks the spot and “Bunches of Lollipops” with 35 lollipops in 7 flavors. Graphing enhances: writing skills, counting, comparing, analyzing, data collection and social skills such as collaboration. Graphing opportunities also builds a sense of community! 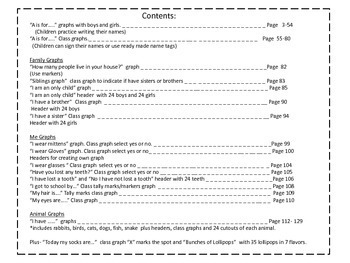 Graphs included are ready to print and begin the process of collecting data. 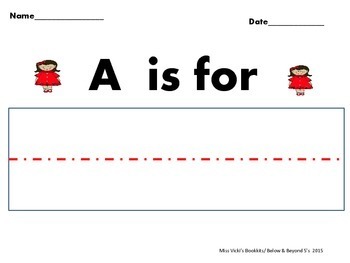 Ideal for math and writing centers.